Dublin player comes in high with a tackle on Down during the All Ireland Minor Gaelic Football Final, Dublin v Down, 20th August 1978. 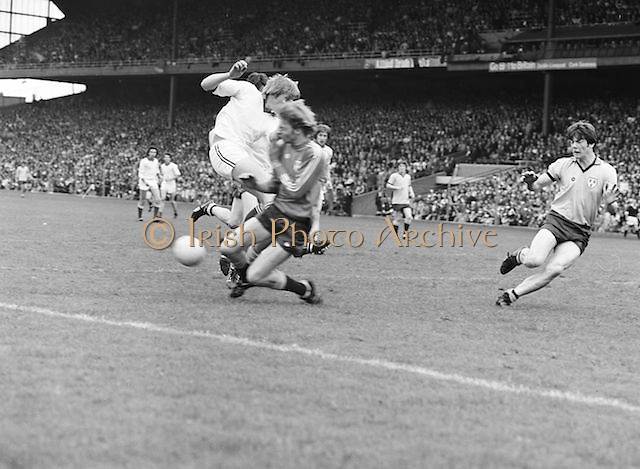 Dublin player comes in high with a tackle on Down as he was about to kick the ball during the Kerry v Dublin All Ireland Senior Gaelic Football Final in Croke Park on the 24th of September 1978. Kerry 5-11 Dublin 0-9.